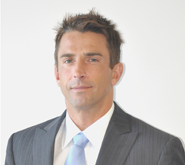 Michael is responsible for the overall management of Pontus Capital. He determines its investment and capital markets strategy and serves as the Head of its Investment Committee. Prior to founding Pontus in 2009, Michael was Head of Acquisitions for Realty Income Corp. (NYSE: O), a publicly traded REIT that specializes in the purchase of net leased properties and sale leaseback transactions. Under his leadership the acquisitions group completed over $2.5 billion in complex property investments over five years, more than doubling the size of the company’s at cost portfolio. In addition, Michael was an Investment Committee participant, and a member of the seven person Executive team and the company’s Board Subcommittee on Strategic Initiatives. While at Realty Income, Michael held several key management and leadership positions in its Acquisitions and Portfolio Management Departments. Previously, Michael co-founded 2P Holdings LLC, a private investment company specializing in the purchase of sub and non-performing residential whole loan mortgages. Michael received a BA from the University of California, San Diego and an MBA from the University of Southern California.